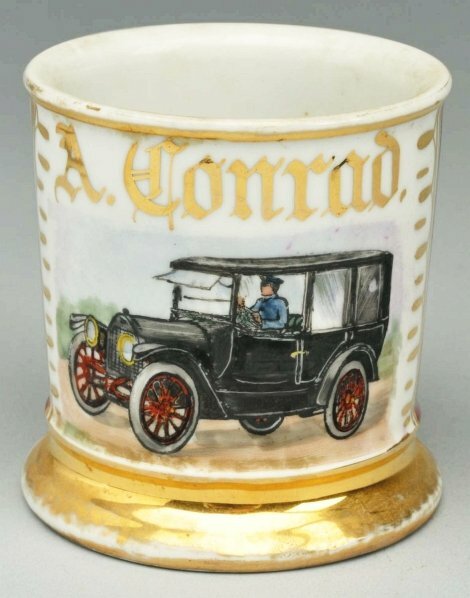 Shaving Mug with nice image of early automobile with chauffeur inside, gilded “A. Conrad”. 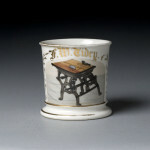 Germany stamp under base. Size 3 – 3/4″ T.